Going back to Ghana feels like the stars have aligned to have me meet so many incredible Africans at once. Not only will I be going back to Ghana, but I will also be doing so in both professional and personal capacities. 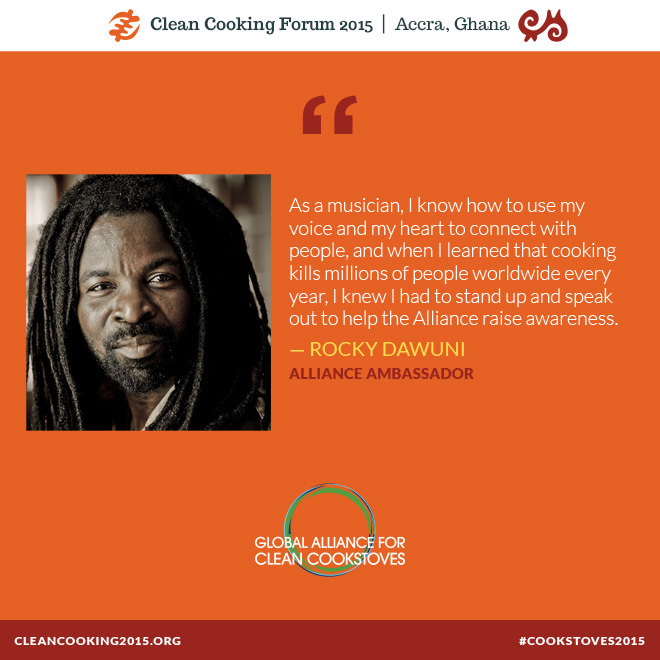 I will be attending the Clean Cooking Forum 2015 next week. I will be meeting many individuals who I have encountered remotely but have never met. I will share with you as I meet them, hopefully. I’ve never been as excited for an actual conference and who the attendees would be. When the Black Stars played in the South Africa World Cup in 2010, I remember thinking that Ghana was a small enough place, that I was likely to meet Stephen Appiah. Low and behold, he will be attending the Forum. We will also be meeting with Wanjira Mathai, Wangari Maathai’s daughter, and head of the Wangari Maathai Foundation. Wangari won the Nobel Peace Prize in 2004 for the founding of the Greenbelt Movement and I heard her speak that year in DC. Wangari also wrote The Challenge for Africa, which I found to be one of my very favorites in a long line of African literature. Clark loves the children’s book written about her work as well. I’m glad to have the opportunity to have Clark meet such people. The gathering will feature more than 400 leaders from 28 countries who are working to build a global market for clean and efficient cookstoves and fuels. 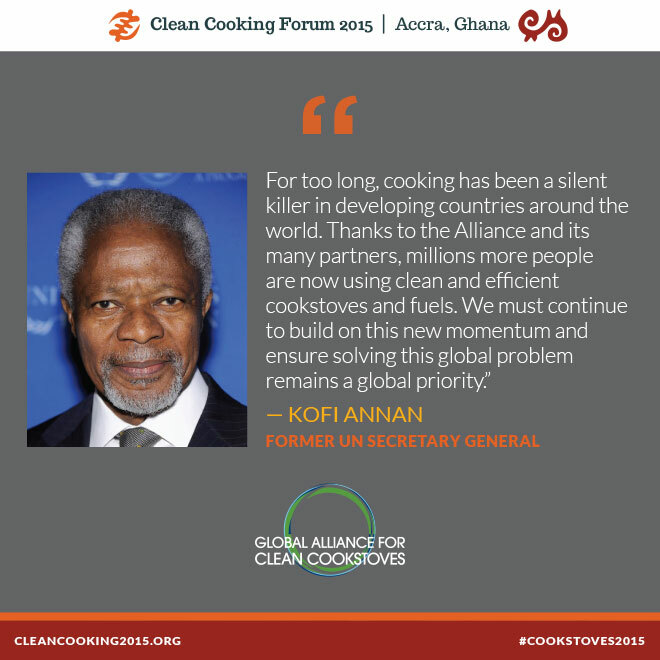 The Global Alliance for Clean Cookstoves is hosting the global Clean Cooking Forum 2015 in Accra, Ghana – the first time it has been held in West Africa. We will come together to share strategies for accelerating growth of the clean and efficient cookstoves and fuels markets around the world. I look forward to representing InStove, as the cleanest, safest, most efficient stove on earth. I am enjoying thinking of the potential opportunities there might be for an InStove in my village. It would also be cool to get an InStove to be a part of a Peace Corps project in Ghana. We’ll keep you posted on progress. If you know of any opportunities for us to collaborate with anyone while we are in Ghana, please let us know.